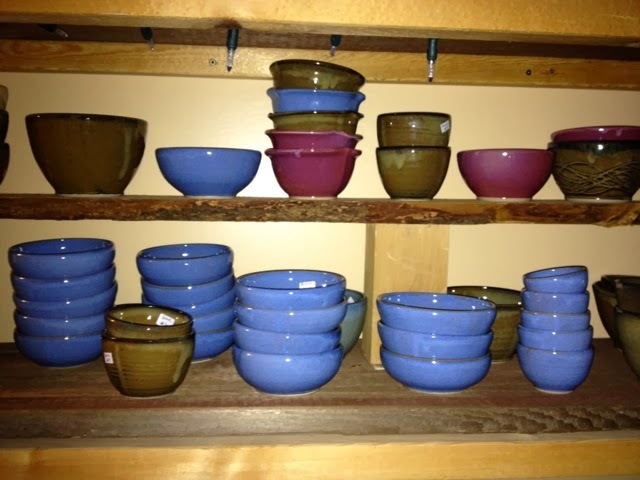 Trial By Fire Pottery, Hilary Huntley: when do i have enough pots for the show? I have been making some very specific pots lately. time is very limited and i have both orders for customers as well as seasonal show preperation. the work i make for orders is always waiting for sixty other pots to join them in the kiln before they can get fired. this year i set out to make batches of specific pots so i would have a wide variety when the craft show season started. i didn't do the local show (christmas chaos at the local rec centre) because i was 9 months pregnant when it was on and had the forethought to know that i would either be HUGE or post partum and not in show shape in either case.